Review of Liles & Boswell, eds. - "WOMEN IN CIVIL WAR TEXAS: Diversity and Dissidence in the Trans-Mississippi"
Women in Civil War Texas, edited by historians Deborah Liles and Angela Boswell, explores in eleven essays (plus Boswell's introduction) a more than suitably broad range of the adult female experience of the war on the state's turbulent home front. Women of several major ethnic groups as well as those of differing social classes, political affiliations, and geographical locations are represented in this impressive collection. It has become a common refrain in the Civil War literature that Confederate women as a whole comprised one of the breakaway republic's most outspoken support groups, and the opening chapter by Vicki Betts finds widespread confirmation of this. Another common theme involves expansion of existing gender roles during wartime, with absent men leaving farm, labor, and business management to their wives. Along this line, Dorothy Ewing's contribution makes an illustrative case study out of the situation of Caroline Sedberry, who competently managed the family's large farm well enough that it survived her husband's death and remained prosperous well into the difficult years of post-war recovery and Reconstruction. It is self evident to say that letters served as a vital link between women on the home front and their men on the fighting front, but Beverly Rowe's essay looks at the differing things men and women wrote about and how they changed over time, as feelings about the war gradually transformed from early ebullience to late war exhaustion, privation, and despair. Another chapter on Confederate women, by Brittany Bounds, discusses how they supported the war effort (through fundraisers, aid societies, home industry, nursing care, church activities, and more) while also preserving some semblance of normality (even entertainment) in their increasingly stressful existence, as inflation soared and all necessaries were in short supply. Obviously the lives of slave women were the most difficult of any group, with fewer coping mechanisms available to them to help mitigate the many hardships caused by the war. Bruce Glasrud uses government statistics and WPA slave narratives to discuss both the scale of slavery in Texas as well as the wartime experiences of slave women, who numbered perhaps 100,000 in 1861 (rising to more than 125,000 through the massive influx of owners "refugeeing" their slaves to Texas to escape the emancipating march of Union forces). During the war, slave duties expanded as other sources of labor dried up, leisure time fell, and punishments increased in severity. Texas society as a whole suffered from from all manner of food and material shortages, and those that occupied the bottom rung of society would be last in line to benefit from any surplus bounty. Another chapter looks at Texas Supreme Court appeal decisions related to black women before, during, and after the Civil War. Other ethnic groups significant to Texas society are also covered in the volume. Jerry Thompson and Elizabeth Mata's contribution looks at the Tejana experience of Civil War Texas through the eyes of a number of individuals, both Unionist and Confederate. Judith Dykes-Hoffman's essay recognizes that there were central Texas women of German descent supportive of both sides during the conflict, but her own emphasis is placed mostly on the travails of dissident Unionists. While spared the arrests and executions often meted out to their menfolk, these women and their children were often forced to witness the violence firsthand and live in constant fear under the hostile rule of their Confederate neighbors. The pro-Union women of North Texas are the subject of Rebecca Sharpless's chapter, which explores their available responses (endurance or flight) to Confederate threats and intimidation. A particularly fine article analyzes the social dissonance created by the massive influx of Confederate refugees into East Texas. In particular, Candice Shockley looks at the treatment of arriving planter class women, who were often locally scorned for their prior opulence, frequent haughty behavior, and for their perceived selfishness in abandoning their rich plantations and imposing themselves upon the suffering Texas population. While the refugees may have been paragons of the "Southern Lady" ideal before the war, the perception among many Texans was that most of these women signally failed at living up to the new ideal of the "Confederate Woman" willing to suffer all manner of privation and loss. Contrasted with this cold treatment was the kindness and generosity Texas society extended to more acceptable "displaced" persons, such as soldier wives and families. As demonstrated by the book's final chapter, written by volume co-editor Deborah Liles, ranch women making a living on the far western fringes of settled Texas had a different host of problems, not the least of which were raiding Indians, army deserters, and outlaws. In order to survive, these frontier women banded together for protection. 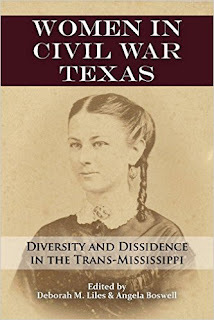 The essays in Women in Civil War Texas are uniformly well researched in that they skillfully combine original manuscript research with astute synthesis of the current literature. Ably integrated into the fabric of every chapter are the stories of individual women (some well known and many others not) and how they coped with the absence of male family members, scarcities of all kinds, the need to maintain farms and businesses, and the very real threats of violence on their own doorsteps. Inclusive of various sub-groups and fairly evenly balanced between Confederate and pro-Union dissident women, this fine anthology should serve as a highly useful survey history of how Texas women were affected by and contributed to the Civil War. The spring 1864 transition replacing seasonal campaigning in the open field between major armies with continuous, attritional combat accompanied by mass trench networks has come under increased scholarly scrutiny of late, especially for the epic eastern theater clash between Grant and Lee. Earl Hess's Trench Warfare under Grant and Lee: Field Fortifications in the Overland Campaign (2007) and In the Trenches at Petersburg: Field Fortifications and Confederate Defeat (2009) looked at the nature of this transformation and, to a lesser extent, the physical and psychological effects this new brand of warfare had on the fighting men of both sides. Though limited to the Union perspective, an upcoming 2017 study along this vein is Steven E. Sodergren's The Army of the Potomac in the Overland and Petersburg Campaigns: Union Soldiers and Trench Warfare, 1864-1865 (LSU Press, June 2017). In it, he "examines the transition to trench warfare, the lengthy campaigns of attrition that resulted, and how these seemingly grim new realities affected the mindset and morale of Union soldiers." Though the mass casualties suffered during the Overland Campaign negatively impacted the physical condition of the Army of the Potomac and the spirit and morale of the men in the ranks, the more fixed nature of the Petersburg front combined with the protection afforded by miles of earthworks led to a "physically and psychologically regenerative" experience for the boys in blue, one that would propel the army to breakthrough and victory in 1865. More from the description: "Comprehending that the extensive fortification network surrounding them benefited their survival, soldiers quickly adjusted to life in the trenches despite the harsh conditions. The army’s static position allowed the Union logistical structure to supply the front lines with much-needed resources like food and mail—even a few luxuries. The elevated morale that resulted, combined with the reelection of Abraham Lincoln in November 1864 and the increasing number of deserters from the Confederate lines, only confirmed the growing belief among the soldiers in the trenches that Union victory was inevitable. Taken together, these aspects of the Petersburg experience mitigated the negative effects of trench warfare and allowed men to adapt more easily to their new world of combat." edited by William P. MacKinnon (Arthur H. Clark, 2016). The Arthur H. Clark Company, an imprint of University of Oklahoma Press, is perhaps the premier publisher of Western Americana. 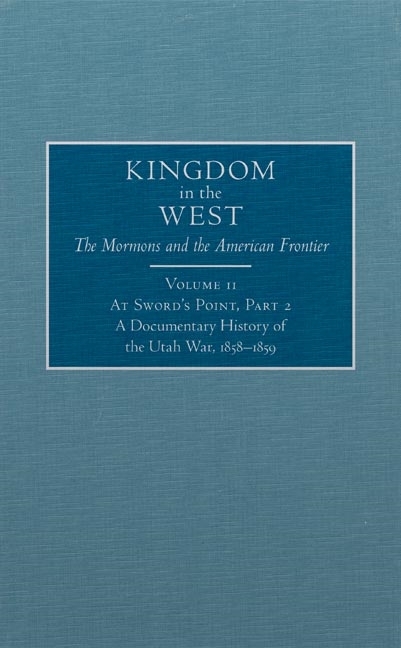 At Sword's Point, Part 2 is volume 11 of their landmark Kingdom in the West: The Mormons and the American Frontier series. 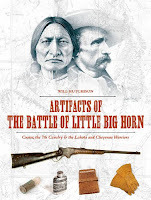 A massive, annotated documentary history with expert commentary by MacKinnon, the two books on the Utah War of 1858-59 are invaluable resources on the subject. Click on the link above to view the breadth of the volume from its table of contents. From the description: "Drawing on author-editor William P. MacKinnon’s half-century of research and a wealth of carefully selected new material, At Sword’s Point presents the first full history of the conflict through the voices of participants—leaders, soldiers, and civilians from both sides. MacKinnon’s lively narrative, continued in this second volume, links and explains these firsthand accounts to produce the most detailed, in-depth, and balanced view of the war to date. At Sword’s Point, Part 2 carries the story of the Utah War from the end of 1857 to the conclusion of hostilities in June 1858, when Brigham Young was replaced as territorial governor and almost one-third of the U.S. Army occupied Utah. Through the testimony of Mormon and federal leaders, combatants, emissaries, and onlookers, this second volume describes the war’s final months and uneasy resolution." by Lorien Foote (UNC Press, 2016). In the Carolinas during the winter of 1864-65, several thousand Union POWs took advantage of a crumbling Confederacy and escaped into the countryside. 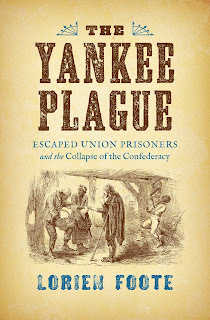 "In this fascinating look at Union soldiers' flight for freedom in the last months of the Civil War, Lorien Foote reveals new connections between the collapse of the Confederate prison system, the large-scale escape of Union soldiers, and the full unraveling of the Confederate States of America." 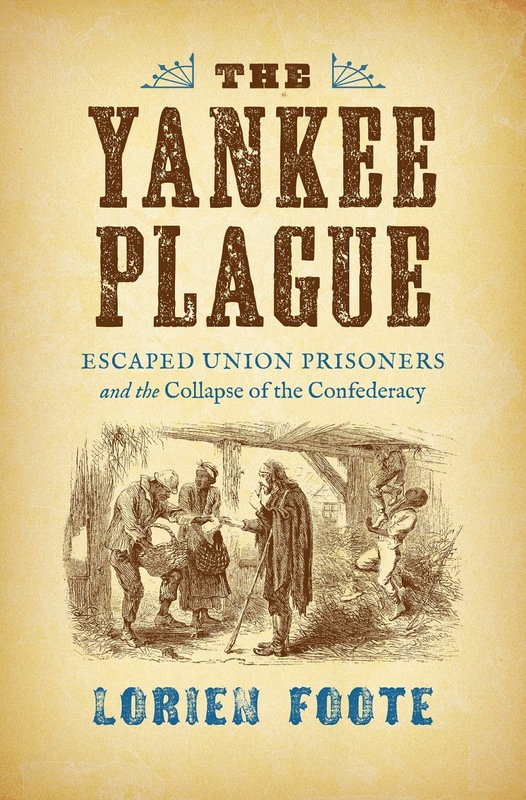 Foote's study argues that these escapees "accelerated the collapse [of the Confederacy] as slaves and deserters decided the presence of these men presented an opportune moment for escalated resistance." This sounds like an interesting new take on another aspect of the war's end game. The fact that it's a very brief study (not every book has to be 300-400 pages!) will add to my ability to squeeze it in somewhere. by David Frey (McFarland, 2016). Throughout history, finishing off beaten armies has never been simple. The inability of Civil War armies to effectively pursue has been the subject of much popular debate, both during the war itself and over the past 150 years of armchair criticism of various generals. "Taking a fresh look at the tactics that characterized many major combat actions in the war, this book examines the performance of unsuccessful (sometimes insubordinate) commanders and credits two generals with eventually seeing the need for organized pursuit." Frey scrutinizes a number of well known campaigns in the book, among them Shiloh, Kentucky, Iuka/Corinth, Stones River, Chattanooga, Atlanta, and Nashville in the West and, in the East, 1st/2nd Bull Run, 1862 in the Valley, the Seven Days, Antietam, Gettysburg, and Appomattox. I haven't had a chance to delve into it yet and am looking forward to reading Frey's analysis. The subject of the retreat-pursuit dynamic is a fascinating one and is rarely explored beyond repeating a few common observations. Review of Blackshear - "FORT BASCOM: Soldiers, Comancheros, and Indians in the Canadian River Valley"
In recent years, North American borderlands have been a popular topic of study for scholars of the antebellum and Civil War eras. The border regions under consideration have included both the internal transitional zone between North and South and the settled fringes of a continually expanding United States. For the latter, fort building was one of the most common means of claiming sovereignty over contested borderlands. Situated atop a low shelf above a sweeping bend in the Canadian River just west of the Texas-New Mexico border, Fort Bascom inserted the United States military into an alien frontier environment settled for centuries by Hispanic New Mexicans and numerous native tribes like the Navajo, Apache, Utes, and the increasingly powerful Comanche and Kiowa of the Southern Plains. 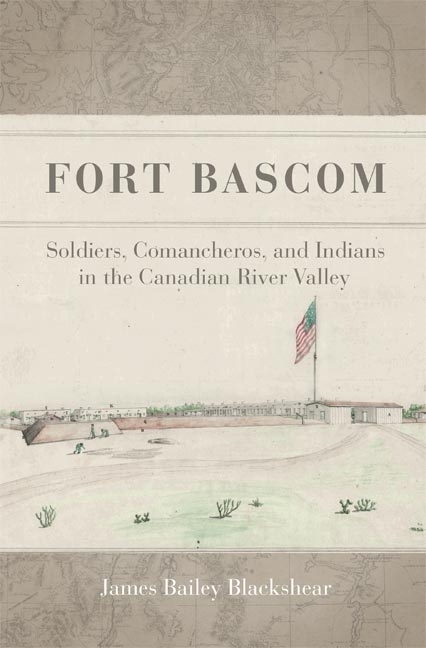 The 1860s and 1870s history of the fort is the subject of James Bailey Blackshear's excellent new study Fort Bascom: Soldiers, Comancheros, and Indians in the Canadian River Valley. In the beginning of the book, Blackshear does a great job of presenting to the reader a brief natural history of the arid region where Fort Bascom would later be situated. In addition to enlightening discussions of regional geology and hydrology, he also delves into the area's flora and fauna. While newcomers to this part of the Canadian River Valley would find survival tough going, the New Mexicans and especially the tribal groups that lived and thrived there for generations were already well adapted to the harsh environment. As the study amply demonstrates, the valley was a place where differing cultures clashed, but it was also one where mutually beneficial exchange occurred. Integral to this societal interconnectedness was the Comanchero trading system, whereby New Mexicans and Pueblo Indians traded finished goods, raw materials, food, livestock, and slaves with the Southern Plains Indians. In their efforts to defeat powerful raiding tribes like the Comanche and Kiowa, volunteer and regular U.S. soldiers stationed at Fort Bascom would find this deeply entrenched economic system (in both its legal and illegal forms) very difficult to interdict and impossible to quash. The disastrous Confederate defeat suffered during the 1861-62 New Mexico Campaign seemingly ended the threat to U.S.-held territory in the Southwest, but rumors of renewed enemy offensives kept Union authorities on edge for the balance of the Civil War. The original reason for the establishment of Fort Bascom in 1863 was to monitor and deter any further incursion by Texas Confederate forces into New Mexico. However, these fears never materialized and the garrison's primary purpose quickly evolved into fighting hostile Indians, intercepting dissident groups escaping the confines of the Bosque Redondo reservation, and attempting to block the Comancheros from supplying the weapons, goods, and information the Southern Plains Indians might use to resist the army. Many western fort studies, even for those installations established during 1861-65, tend to quickly gloss over the Civil War years before moving on to the great Indian Wars of the following decades. Not so Blackshear's Fort Bascom, which devotes at least half its length to the 1863-66 period, when U.S. volunteers were primarily responsible for patrolling and defending the Far West. The author discusses at great length not only the struggle to build, physically maintain, and supply the isolated fort but also the difficulties the army experienced when attempting to impose its will on what would be a three-way clash of cultures. One of the book's best sections is Blackshear's exploration of army life at the post. The many military expeditions launched either in full or in part from Fort Bascom are also detailed in the text. These include the campaign that would culminate in the 1864 Battle of Adobe Walls. After the Civil War ended, regular troops (white and black) returned to Fort Bascom. During the war, the volunteers had done little to diminish the Comanchero trade, though not through lack of effort. As the book shows, the new crop of regulars would also be largely unsuccessful, with some current and ex-soldiers even participating in the illegal trading themselves. 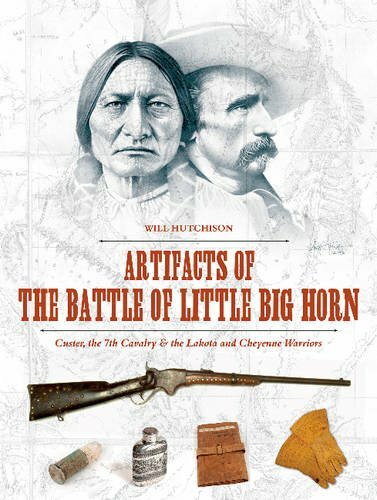 Like the author perceptively notes, history tells us that extensive and very lucrative black markets tend to emerge in the borderlands between diametrically different cultures in conflict, and the Comanche and Kiowa would certainly use the proceeds of the Comanchero trade to great effect both during and after the Civil War. Far from being quashed by the volunteers, the Comanchero trade flourished with renewed vigor during the late 1860s and early 1870s. In 1870, Fort Bascom was officially closed by a parsimonious military, but it remained a temporary base and waypoint for occasional operations aimed at arresting Comancheros and destroying their goods. Raiding from the Southern Plains Indians also fairly exploded in scale after the controversial closing of the fort, with depredation claims from the Texas Panhandle for just a two-year period in the early 1870s totaling almost $45 million. However, manpower and resources were scarce in the slimmed-down U.S. Army and the numerous Comanchero trails continued to be plied by traders over a huge area between northern Mexico and the Kansas plains. During the decade following the end of the Civil War, Fort Bascom would be connected to a pair of important Indian Wars campaigns. 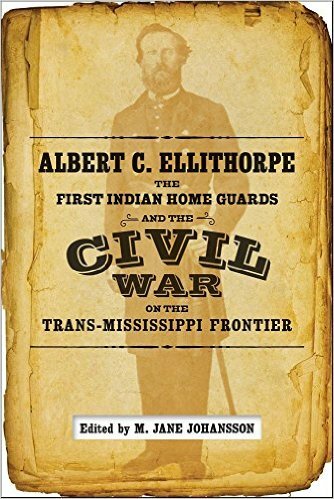 The book discusses at some length the fort's contribution to Philip Sheridan's famous winter campaign of 1868, when a column led by Major Andrew Evans destroyed a huge Comanche winter camp and all its supplies, a largely bloodless accomplishment the author persuasively views as unjustifiably overshadowed by George Armstrong Custer's controversial battlefield victory on the Washita. Blackshear also recounts the involvement of Fort Bascom in the Red River War of 1874 and the salutary effect constant patrolling from the fort had on the eventual wearing down of tribal raiders and their support network by 1875. 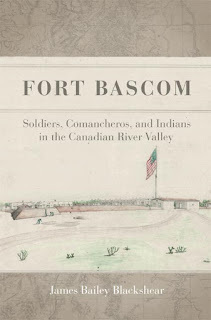 In Fort Bascom, author James Blackshear develops a strong argument that the generally forgotten New Mexico fort deserves far more recognition than history has heretofore awarded it for its deep role in reshaping the American Southwest by bringing the powerful Southern Plains Indians under government control and securing the Texas Panhandle. Along the way, Blackshear's study successfully blends military, cultural, environmental, and economic history. It's also one of the finest of the recent works examining the Indian conflicts of the Civil War period. by Joshua E. Kastenberg (McFarland, 2016). "In May 1865, the final month of the Civil War, the U.S. Army arrested and prosecuted a sitting congressman in a military trial in the border state of Maryland, though the federal criminal courts in the state were functioning. 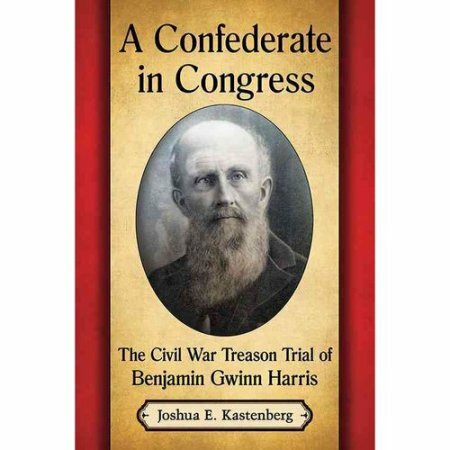 Convicted of aiding and abetting paroled Confederate soldiers, Benjamin Gwinn Harris of Maryland's Fifth Congressional District was imprisoned and barred from holding public office. Harris was a firebrand--effectively a Confederate serving in Congress--and had long advocated the constitutionality of slavery and the right of states to secede from the Union. 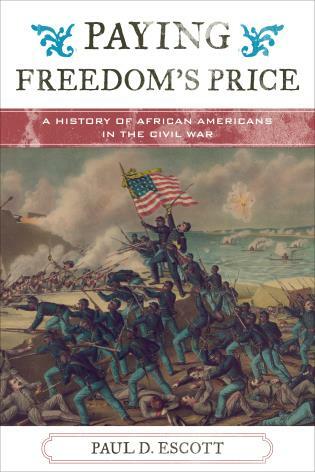 This first-ever book-length analysis of the unusual trial examines the prevailing opinions in Southern Maryland and in the War Department regarding slavery, treason and the Constitution's guarantee of property rights and freedom of speech." The bibliography looks solid, with fairly extensive manuscript research and engagement with the secondary legal literature of the Civil War. by William F. Quigley Jr. (Kent St Univ Press, 2016). Facilitated by the recent discovery of a cache of wartime letters, Pure Heart tells the home front and war front parallel stories of a Pennsylvania father and son. 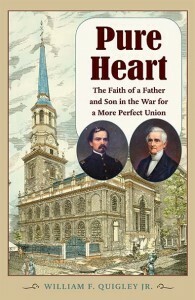 During the Civil War, Reverend Benjamin Dorr, rector of Philadelphia's Christ Church (a place with intimate ties to the founding of both the Episcopal Church in America and the country itself), had to deal with competing Democrat vs. Republican political factions within the congregation. Dorr supported the war and emancipation, and the author likens his efforts in keeping the Episcopal Church from sundering to Lincoln's task of holding together the North. The reverend's son, William White Dorr, joined the army in 1862 as a lieutenant in the 121st Pennsylvania, and the book follows his Civil War career in the eastern theater with that unit from Fredericksburg onward. From the description: "By war’s end, many Philadelphians came to praise the spirit of charity and forgiveness exemplified by Reverend Dorr. He was their shepherd through that political, constitutional, economic, and religious crisis, and to honor his memory they erected stone monuments in “The Nation’s Church” to him and to Captain Dorr, “A Christian and a Patriot, ‘Faithful unto death.’”"
Another thing that immediately caught my eye while thumbing through the book was the high number and quality of the battle maps, a welcome state of affairs not typically found outside of specialized campaign studies. They are quite impressive. Like most of their publishing seasons, the Spring-Summer 2017 catalog from LSU Press has some intriguing titles. One of them is an "updated edition" of W. Craig Gaines's The Confederate Cherokees: John Drew's Regiment of Mounted Rifles (May '17). I posted some thoughts about the 1989 first edition [here] back in 2007. Unfortunately, the new description doesn't hint at what's been updated. The original narrative was fine but very brief. Undoubtedly, more useful primary source material has emerged over the past 30 years, and there's a richer secondary literature with which the author might engage. I am looking forward to seeing what was done with it. 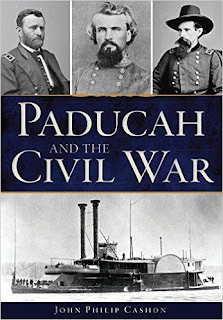 Review of Cashon - "PADUCAH AND THE CIVIL WAR"
When the Confederacy ended Kentucky's dubious neutrality by entering the Jackson Purchase in early September 1861 and occupying Columbus, they left untouched what many historians consider an even richer prize, the city of Paducah. Strategically situated on the Ohio River and adjacent to the mouth of the Tennessee River, Paducah controlled the gateway to one of the war's great inland waterway invasion routes. Though periodically threatened, Union forces would hold the town for the duration of the war. How the town and its inhabitants were affected by the conflict is the subject of John Philip Cashon's Paducah and the Civil War. The book begins with a solid summary of the 1860-61 political situation in western Kentucky's Jackson Purchase during the Secession Winter and the early months of the war. As a pair of recent specialized studies* have confirmed, pro-Confederate sentiment was widespread in the Purchase, which was physically and culturally isolated from the rest of the state by the Tennessee River. One of the region's key urban centers, Paducah gained a reputation as a southern city even though it was tucked into the most northern reaches of the Purchase, with some even calling it the "Charleston of Kentucky." 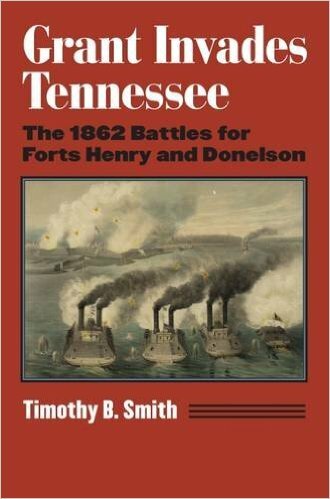 Two significant military events occurred at Paducah during the war, and the book describes both well. U.S. Grant's capture of Paducah on September 6, 1861 was a bloodless affair with far reaching strategic importance. Quickly fortified, the city became impervious to mere raids and, while it wasn't a major military depot, holding it was necessary for the safety of operations south. The March 25, 1864 Battle of Paducah, on the other hand, was costly in both property destruction and human life. In the attack, Nathan Bedford Forrest's Confederate cavalry command quickly secured most of the city but was bloodily repulsed in its attack on Fort Anderson, Paducah's chief defense installation. Like other writers, Cashon is critical of Forrest's poor reconnaissance and rash decision to attack the rather formidable fort, which possessed steep, thick walls and was surrounded by a deep moat. In the unlikely event Fort Anderson was taken or surrendered, the author wonders whether the bi-racial garrison would have suffered the same fate that Fort Pillow did less than three weeks later. Others have suggested that the signal failure at Fort Anderson played some part in fueling Confederate rage in West Tennessee. 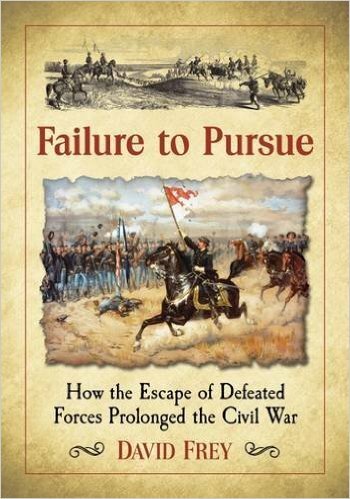 The book also discusses the guerrilla problem around Paducah and how it was a major factor (in conjunction with Forrest's attack) in 1864's return of harsh military rule to the city. Military occupation deeply concerned Kentuckians of all political stripes, and Cashon's book effectively contrasts the moderate martial rule of U.S. Grant, C.F. Smith, and Solomon Merideth, with the extremes of malice wielded by Eleazer Paine. In his two Paducah stints, Paine, whose punitive policies included economic sanctions, banishment, financial levies, and unauthorized executions, drew such ire from all sides that he was twice removed from command. Cashon also discusses at some length the enforcement in Paducah of Grant's infamous General Orders, No. 11 and Paducah merchant Cesar Kaskel's role in getting it revoked in a relatively short time. Grant's most vocal critics often take his order expelling the Jews as a class from his department as evidence of malicious bigotry and a major character defect. On the other side of the debate, the general's defenders insist that the episode was an isolated incident, a grossly unfortunate knee-jerk reaction against a single group stemming from boiled up anger and frustration with cotton speculators in general. Cashon's own assessment lies more toward the latter interpretation. 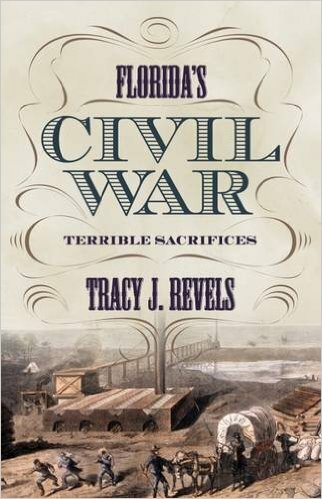 There's been a bit of a revival in quality Civil War city studies of late. 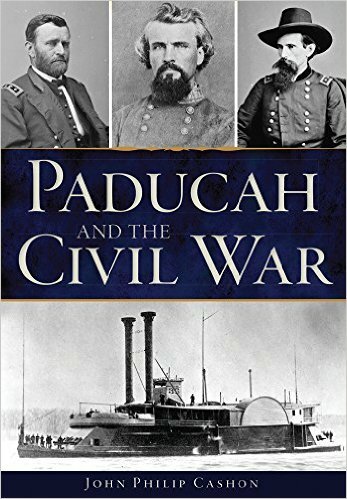 While Cashon's Paducah and the Civil War is a slim volume directed primarily toward a popular audience and is not a comprehensive scholarly monograph, it is a solidly researched selective survey of many of the major individuals and events associated with the city's wartime experience. "Kentucky Confederates: Secession, Civil War, and the Jackson Purchase" by Berry Craig. "The Civil War in the Jackson Purchase, 1861-1862: The Pro-Confederate Struggle and Defeat in Southwest Kentucky" by Dan Lee. by Sharon B. Smith (Lyons Press, 2016). The horses of many great historical military figures (like Alexander's "Bucephalus") have received their own measure of fame, and the equine 'heroes' of the Civil War are no different. At least on the Confederate side, probably only Robert E. Lee's "Traveler" exceeds Stonewall Jackson's "Little Sorrel" in renown. From the description: Little Sorrel's "enduring fame was due initially to the prominence of his owner and the uncanny similarities between the two of them. The little red horse long survived Jackson and developed a following of his own. In fact, he lived longer than almost all horses who survived the Civil War as well as many thousands of human veterans. His death in 1886 drew attention worthy of a deceased general, his mounted remains have been admired by hundreds of thousands of people since 1887, and the final burial of his bones (after a cross-country, multi-century odyssey) in 1997 was the occasion for an event that could only be described as a funeral, and a well-attended one at that." 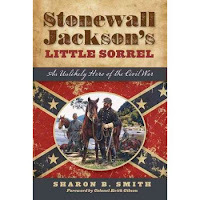 Sharon Smith, also the infrequent blogger of New England's Civil War and author of Connecticut's Civil War from 2009, has a long professional association with horses and horse sports and likely brings a different than usual perspective to the subject. 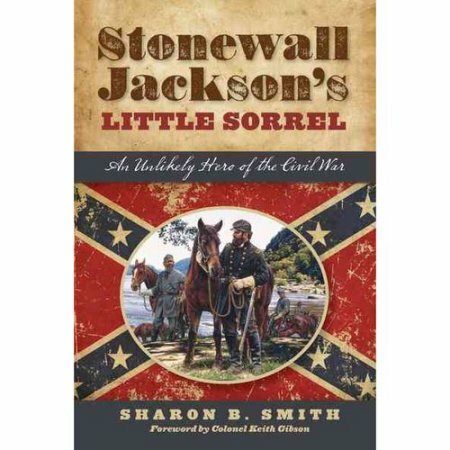 According to Smith, much of what has been written about Little Sorrel is untrue, and her book sets out to set the record straight and tell the full story of Jackson's famous mount. by Thomas R. Baker (Univ of Iowa Pr, 2016). As a Cornhusker fan, I am reluctant to say anything positive about the state of Iowa, but it cannot be denied that the Hawkeyes punched far above their weight during the Civil War. 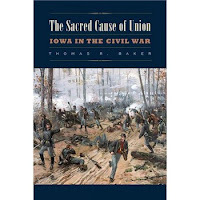 The Sacred Cause of Union claims to be the first survey history of Iowa in the Civil War, and I certainly don't know of any prior modern publication that would fit the bill. Baker's study "interweaves economics, politics, army recruitment, battlefield performance, and government administration." The home front and the Iowa women's Civil War also feature prominently in the volume. From the description: "On their own initiative, the state’s women ventured south to the battlefields to tend to the sick and injured, and farm families produced mountains of food to feed hungry federal armies. In the absence of a coordinated military supply system, women’s volunteer organizations were instrumental in delivering food, clothing, medicines, and other supplies to those who needed them." Review of Penn - "KENTUCKY REBEL TOWN: The Civil War Battles of Cynthiana and Harrison County"
Located in Harrison County, Kentucky thirty miles north of Lexington and with the Kentucky Central Railroad passing through it, Cynthiana was both a town of divided loyalties and a rich target for opposing military forces, with battles fought there in 1862 and 1864. Author William Penn has published numerous articles on the subject, and one full length study Rattling Spurs and Broad-Brimmed Hats (Battle Grove, 1995). Penn's new book Kentucky Rebel Town: The Civil War Battles of Cynthiana and Harrison County is a significant revision and expansion of his earlier work. Border State studies have exploded of late, with many important monographs examining topics such as cultural and political identity, wartime civil rights in loyal states, the impact of emancipation and black army recruitment, Reconstruction, and remembrance. Many of these issues and themes are addressed in Penn's work. As a politically divided and strategically important town, Cynthiana is a fine candidate for studying the Border State home front experience. Penn discusses the lead up to war in the town and the surrounding county, with some citizens traveling south to join Confederate armies and others organizing themselves into pro-Union home guards. While the latter often harassed without cause those they suspected to be Confederate sympathizers, they did play an important role in guarding important enemy targets like railroad trestles and they performed fairly well at the first Cynthiana battle. The Kentucky Central Railroad ran right through Harrison County, and a larger military presence than local home guards was needed to secure it. The book discusses at some length the influx of Ohio volunteer units into the county, where they quickly established fortified bases like Camp Frazer and erected block houses and stockades to protect the railroad, vital bridges, and themselves from guerrillas and Confederate raiders. As outsiders with little appreciation of the complexities of Border State politics and society, they periodically clashed with the locals, as well. Martial law and suspension of civil liberties within loyal states is a common issue examined in Border State Civil War studies, and Penn's book explores in great detail the military arrests of politicians, leading citizens, and newspaper editors in Cynthiana and Harrison County. As demonstrated during the 1862 Confederate Kentucky Campaign and both John Hunt Morgan raids, civilian arrests tended to sharply increase when Confederate troops were in the vicinity. At these times, the "lurking" Confederate became a widely feared bogeyman. Though detainees were generally well treated while in custody, serial arrest and incarceration, financial indemnification, bond posting, and oath requirements were unpopular but potent weapons employed by military authorities for silencing dissent. Penn's fine case study of Cynthiana resident Lucius Desha (a wealthy slaveholding landowner and state representative with two sons in the Confederate army but who personally committed no overt acts of support for the Confederacy) very effectively illustrates the hardening war's insidiously expanding definition of disloyalty and the ruthless means employed at rooting out those suspected of harboring enemy sympathies. On the other hand, though it was small comfort to those repeatedly detained and doesn't excuse the practice of arbitrary arrest, the fact that all five Harrison county citizens formally accused of treason during the war were released after a hearing, and none were convicted of the crime in any court, meant that Kentucky citizens were not without very real legal protections. The book briefly addresses the provost marshal system and the matter of draft enforcement in Harrison County during the war. It also charts the gradual dissolution of slavery in the county, a process that rapidly accelerated in 1864 with the mass enlistment of slaves into the army. In all, 396 former Harrison County slaves joined several different USCT units and the navy. Though eligible masters were entitled to a $300 bounty for each slave enlistee, very few owners met the stringent requirements for federal compensation and only a handful actually received their money. 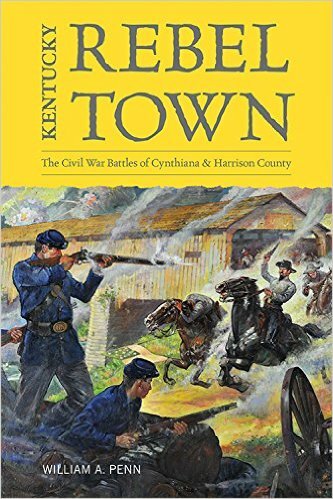 Much of the book examines the two battles fought at Cynthiana on July 17, 1862 and June 11-12, 1864. Both clashes were initiated by Kentucky Confederate general John Hunt Morgan and his cavalry raiders. Penn's descriptions of the fighting are meticulously detailed and supported by some fine tactical maps of his own creation. In writing about the twin battles, the author incisively contrasts the Morgan of 1862 with the Morgan of 1864. During the first battle, Morgan's command was better disciplined (an achievement typically credited to the steady hand of chief subordinate Basil Duke) and concentrated primarily on military targets. The first battle showed Morgan at his raiding best, when he swiftly surrounded and overwhelmed in less than 90 minutes a mixed defending force of Union soldiers and home guards. In describing and analyzing the 1864 battle, Penn usefully divides the two-day action into three distinct phases: (1) the direct assault upon the town on June 11, (2) the follow up engagement later that day a mile north of Cynthiana at Keller's Bridge, and (3) the June 12 battle fought just east of the town against a large relief force commanded by Union general Stephen Burbridge. During the first two successful phases, Morgan was again at his best, employing maximum shock by attacking from multiple directions and swiftly overcoming enemy resistance. On the other hand, the June 12 battle demonstrated Morgan at his worst, when it came to conducting a set piece battle. Though Morgan was never a great organizer or disciplinarian to begin with, his 1864 command was composed of different material than his 1862 band of brothers. Plundering freely and shockingly lacking in battlefield discipline, the quality of the 1864 raiders contrasted sharply with Morgan's first command. To make matters worse, Morgan's poor judgment and indifferent attention to command and control significantly lessened the chances for victory on the 12th. Accepting battle against Burbridge even with the knowledge that ammunition stocks were depleted, Morgan swiftly lost what little control he had over his units, who were quickly routed from the field and scattered across the countryside. In the wake of the defeat, many small groups of Confederate survivors deserted the army entirely and reemerged as guerrilla fighters for the rest of the war. Though much of the guerrilla literature for Kentucky already focuses on the state's northern and western regions, Penn might fruitfully have devoted more space in the book to Harrison County's irregular war. With much of the heart of Cynthiana in ashes after the June 1864 battle, Kentucky Rebel Town traces the efforts of property owners to obtain compensation from the federal government. Like many other northern and border communities affected by the physical ravages of enemy invasion, the Claims Commission rejected any kind of financial award for Cynthiana property owners on the grounds that the Confederates caused the damage. After the war, Kentuckians generally opposed granting full citizenship rights to blacks, and Penn discusses the efforts of the local Freedmen's Bureau office to protect ex-slaves and establish schools. He also briefly looks at the activities of Union and Confederate veteran groups in Harrison County and the erection of Cynthiana's Confederate cemetery and memorial. Though the volume inexplicably lacks a bibliography, the notes indicate a significant degree of original manuscript research, as well as wide investigation into all the other avenues of source material (including a large number of newspapers) one expects to find in modern Civil War scholarship. The detailed orders of battle compiled in the appendix should also be greatly appreciated by students of both battles. As noted before, the maps are more than fine overall, but a detailed drawing of the historical landscape east of Cynthiana (in addition to the one tracing the action atop a modern topo map) would have greatly aided reader comprehension of the dynamics of the June 12, 1864 battle. Though focusing heavily on Cynthiana itself, there is enough broader material in Kentucky Rebel Town to consider it a commendably useful county history, as well. As mentioned above, all the major social and political issues of greatest interest to today's scholars are addressed in Penn's study to some degree. The book is clearly the best military treatment of the Cynthiana battles in the literature, and anyone specifically interested in Morgan's Kentucky raids will find it a rich resource. Among the great battleground states of the western theater, Kentucky's military historiography remains one of the thinnest, and Penn's contribution goes a long way toward filling in some of the remaining gaps. Kentucky Rebel Town is highly recommended. Go HERE For more CWBA reviews of UPK titles.